Let’s take a look at the lightbox configuring in the plugin. A lightbox is a script that allows displaying an enlarged photo when you click on it. The plugin provides several built-in lightboxes, which you can find in the settings of the contest, the tab “General option”. There are such lightboxes as: Image Lightbox, Magnific Popup and Lightbox Evolution. In addition, there are several paid add-ons: Lightbox Inspired + Venobox. In some of them, for example in the Image Lightbox, you can customize the location of the buttons and their color using WordPress Customizer. Customize the display of the names of photos that will appear in the lightbox window. 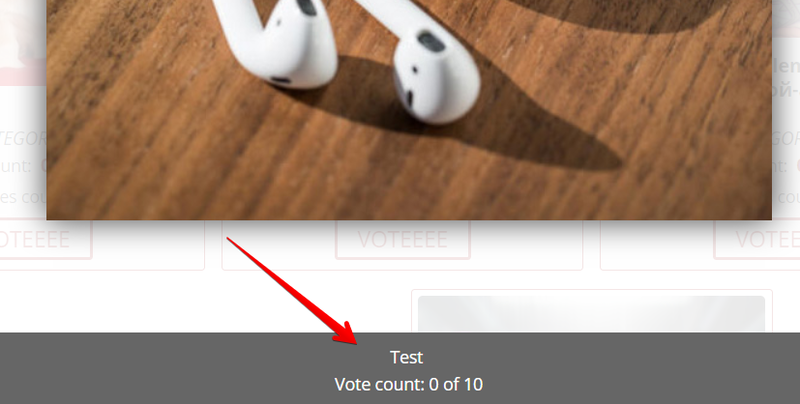 Available tags: name, description, number of votes and other. 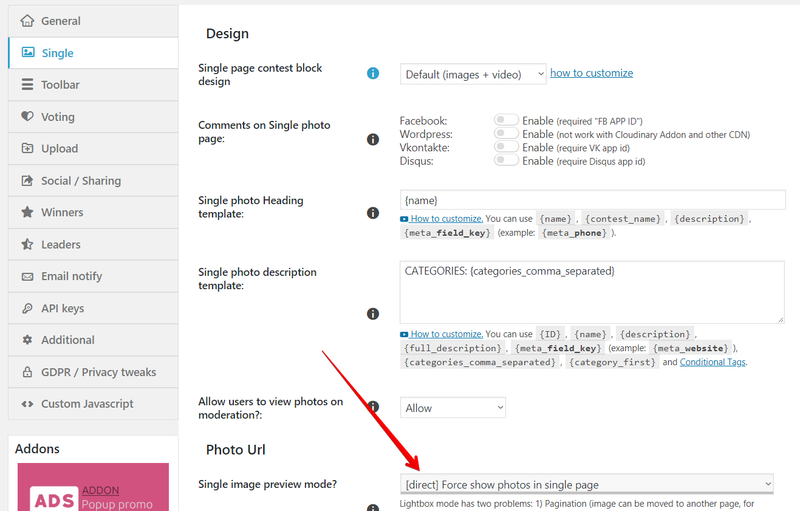 In case if Single image preview mode set up as Direct, then the lightbox will not be used on the site.